If you happen to be relocating to the Kingdom, you will find that renting in Bahrain offers you a wide variety to choose from. With a booming real estate market, as well as a thriving economic scene, Bahrain will surprise you with its impressive buildings and entertainment venues. All across the ‘Pearl of Arabia,’ you will find multi-use developments and soaring skyscrapers. Neighborhoods are developing at a powerful pace. 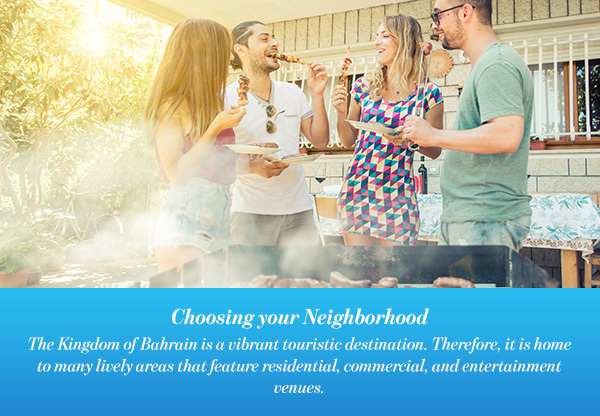 This means that when it comes to renting in Bahrain, you will have endless options to choose from. Whether you’re seeking a private villa with a pool or an apartment building with luxury amenities. The Kingdom of Bahrain truly does have it all. So before you begin you relocate, here are 6 things to consider when leasing a property in Bahrain. The first point to consider is, of course, your budget. This will be your guide towards choosing the best rental property for you. Rental prices in Bahrain are as diverse as you can imagine. They are also among the most affordable in the GCC and entire region. Starting with the high-end developments and areas, the cost of renting one-bedroom apartment can range anywhere from 400 to 850 BHD per month. These areas include Juffair, Amwaj Islands, Seef, and Reef Island. In each of these neighborhoods, you will find an abundance of luxury facilities around you. Moreover, they are common choices for expats in the Kingdom. If you are looking for more affordable housing, you should consider Isa Town, Riffa, and Janabiyah. Here, a one-bedroom apartment will usually cost you from 120 to 400 BHD per month. Culturally rich and inviting, these areas remain true to Bahrain’s strong heritage and will give you a taste of the local lifestyle. 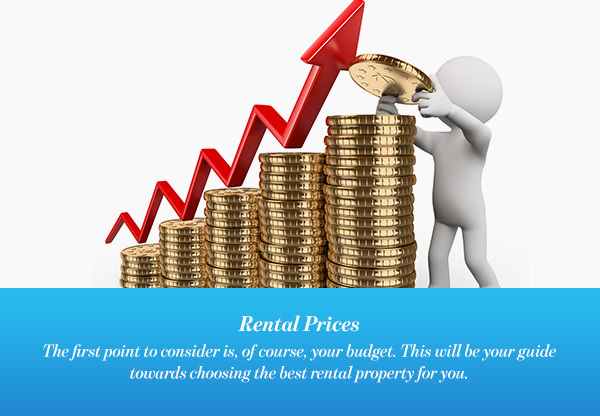 Of course, prices will drastically increase if you are looking to rent larger apartments or villas. Newer areas and well-established developments will also have higher rent prices due to their endless luxurious amenities. Once you have a specific budget in mind, it will be easy for you to search online or even hire an agent to find you the perfect rental property. There are two types of rental payment in Bahrain, inclusive basis and exclusive basis. Inclusive rental means that the payment includes electricity bills, taxes, and water bills. Exlusive means that the tenant will have to pay these charges. The average electricity payment of a regular two bedroom apartment ranges from BHD 20 to 50, while the municipal tax rate is 10% of the net rent. The next point to consider is whether you want a furnished or unfurnished property. 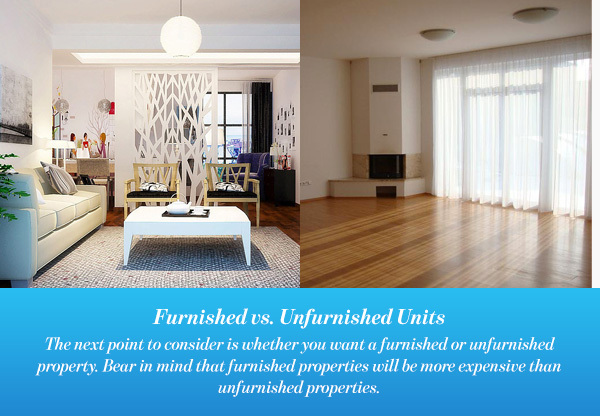 Bear in mind that furnished properties will be more expensive than unfurnished properties. Although furniture in Bahrain is relatively affordable, some people prefer to rent furnished apartments to avoid the hassle. However, unfurnished properties will give you the chance to decorate the apartment as you please. If you are looking for authentic furniture, you will find plenty of choices. Moreover, if you won’t be staying in Bahrain for long, you can find used furniture for sale in several websites. This will allow you to spend less on furniture and will help you save when it comes to renting in Bahrain. If, however, you are looking for something in between, you can always opt for semi-furnished properties. Bringing you the best of both worlds, these units come with air conditioners and fixed kitchens. All you will do is furnish the remainder of the house. Semi-furnished apartments give you the chance to choose a theme for your home without buying expensive electronics. The Kingdom of Bahrain is a vibrant touristic destination. Therefore, it is home to many lively areas that feature residential, commercial, and entertainment venues. Before choosing a specific area to relocate to, you need to ask yourself what sort of lifestyle you are seeking. Renting in Bahrain will be made easier once you know what you are looking for. You will be able to narrow down your choices and find the perfect home. There are numerous areas that are perfect if you are seeking a family residence. They include Busaiteen, Saar, and Seef among many others. These family-oriented neighborhoods are usually situated within proximity to recreational areas in the Kingdom. Moreover, they provide a quiet and safe environment for you and your family. As an expat, you will also find areas that are common among other expats. These areas, which include Amwaj Islands and Juffair, will give you everything you need. With restaurants, cafes, shopping, and entertainment, you will never pass through a boring day. When relocating to Bahrain and searching for a rental property, you should also consider the services and amenities that each property provides. These will vary widely depending on the area and the property itself. Furthermore, property location should also be a point to keep in mind. It is easier to find a home that is within walking distance or even a short drive away from popular destinations. 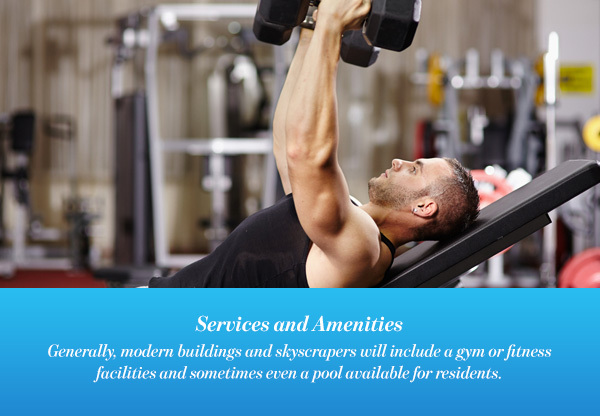 Generally, modern buildings and skyscrapers will include a gym or fitness facilities and sometimes even a pool available for residents. Parking and round-the-clock security are also readily available in most new buildings and developments. The more luxurious the property, the more amenities it will offer. Multi-use developments are usually filled with services and amenities that aim to provide residents with a rich and comforting life. If you choose to rent a property in one of these developments, you will be met with more services and amenities than you may need. Whether you are looking for international restaurants and hotels, branded shops, or even entertainment locations. Leasing laws in Bahrain are straightforward and should not be a problem for you when relocating. However, you should be well informed about laws and regulations before signing a lease. In 2016, a new lease law came into effect in the Kingdom of Bahrain. The purpose of the law was to protect the rights of both landlords and tenants and also to decrease court disputes between them. As is the case in any other country, it is crucial to read the lease agreement properly. Understand your rights as a tenant and what is expected of you. If you are worried about any problems, it is best to have your agent or lawyer go over the agreement and inform you of any possible changes to make. You can also ask for a copy of the landlord’s CPR or Passport. It’s worth noting that some landlords in Bahrain prefer not to register the property in the tenant’s CPR as a way to evade paying the 10% municipal tax. So, if you encounter this kind of behaviour, try to report it to the municipality. It’s your right to have your address registered since it is critical for updating your medical insurance information. The final point to consider before relocating to Bahrain is the culture. Remember that Bahrain is a Muslim majority Arab country. Local residents respect other people’s privacy and expect the same in return. If you have never visited an Arab country before, it is a good idea to read up on the culture and understand popular customs. Although it is a touristic destination that attracts nationalities from around the globe, Bahrain is proud of its culture and history. Throughout the Kingdom, you will come across remnants of the ancient Dilmun civilization. At the same time, the country has embraced modernity that is seen across its skyline.